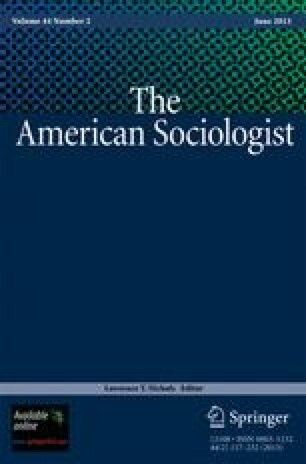 This collection of papers materialized in response to the American Sociological Association’s call for centennial plenary sessions in 2004 as it prepared for the 2005 annual meeting in Philadelphia. Three of the nearly two-dozen centennial plenary sessions selected for the conference proceedings focused on the subject of sociological knowledge. One of these plenary sessions was organized by me; the other two, originally intended to be one session but divided in order to accommodate the large number of proposed presenters, was organized by Barbara Schneider. Shortly after the sessions were confirmed, I contacted Barbara to determine her interest in publishing some of the presentations as a collection that offered multiple perspectives on the nature of sociological knowledge. Based on the initial interest expressed by both Barbara and the presenters, I contacted Larry Nichols to determine if he might have an interest in publishing a special issue of The American Sociologist on this topic. Upon his consent, work proceeded forward on this special issue. Bruce Keith is professor of sociology and associate dean for academic affairs at the United States Military Academy. He can be reached at zb9599@usma.edu.